If you are arrested for a second DUI / OVI in 10 years, your car will be impounded (if the vehicle is titled in your name). You will need an entry signed by a judge to get your car out of the impound lot. But, you will not be able to drive the car away because there is a mandatory 90-day immobilization period. This means you will have to have your car towed to your home and clubbed for 90 days (the car cannot be clubbed on the street). If you live in an apartment complex, you will have to get their permission prior to your vehicle being towed and clubbed there. Under Ohio law, there is a lower legal limit that applies to drivers under the age of 21. If a chemical test determines that a driver under 21 has a Blood Alcohol Content (BAC) between .02 and .08%, the driver can be cited for Underage DUI / OVI. The penalties consist of a maximum jail time of 30 days and a maximum fine of $250.00. An underage DUI / OVI charge also carries 4 points on a driver’s record, whereas a regular OVI conviction carries 6 points. License Suspension: 6 months minimum – up to 3 years. 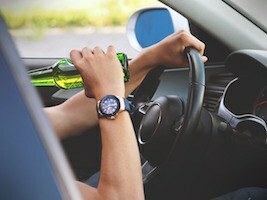 If you have committed any of these Ohio DUI / OVI offenses in Columbus, Warren or Youngstown, Ohio call 614-349-4490 to schedule your free consultation and learn how to protect your rights.